Chan Takashi's King Ghidorah sculpt from above. For most of us King Ghidorah needs no description. He is a kaiju one of the most popular kaiju's from Toho studious and a fierce foe of Godzilla. 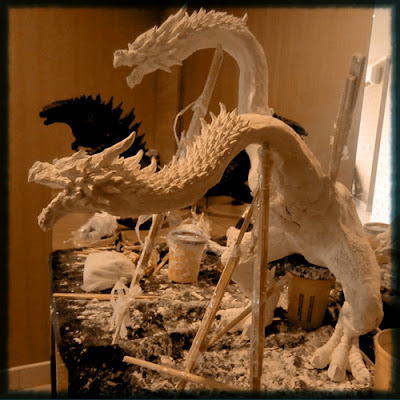 Physically, he is an armless, three-headed dragon with large wings and two tails. 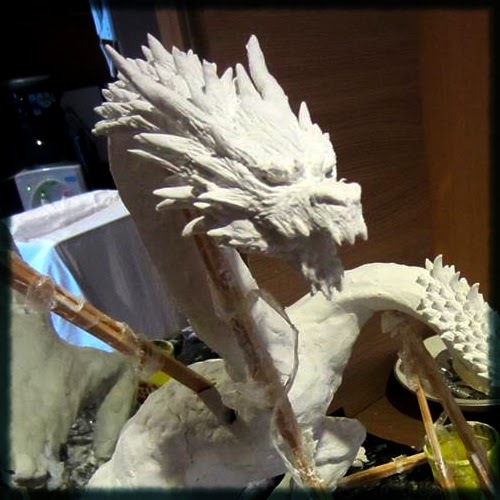 Chan Takashi continues to wow fans with a new sculpt in progress. 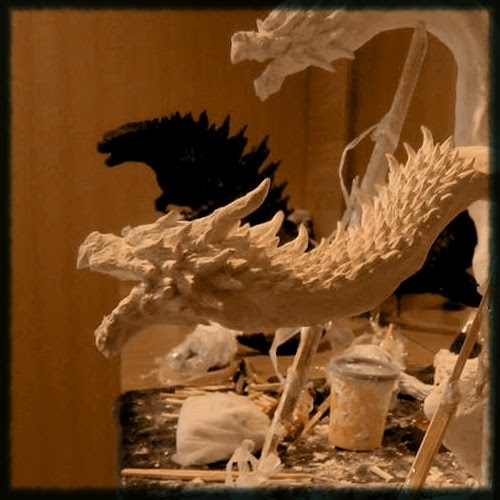 After his first Godzilla 2014 sculpture fans immediately reacted and Chan Takashi was encourages to create a second Godzilla 2014 sculpture. Both sculptures went viral. keeping up with the creative momentum we have had an opportunity to see a preview of his new sculpture; King Ghidora. As you can see, Chan still uses disposable chopsticks as scaffolding as he begins to shape and sculpt. 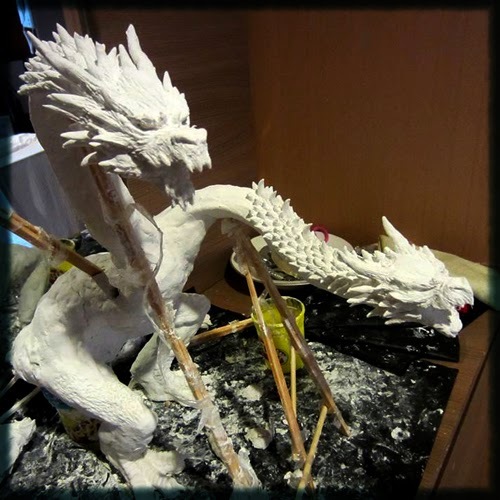 Check out the images below as Chan Takashi begins his new King Ghidora sculpture. Click the following link to see all previous Chan Takashi posts.